Sugar does not improve mood and it can make people less alert and more tired after its consumption -- according to a new study by the University of Warwick, Humboldt University of Berlin, and Lancaster University. The research team set out to examine the myth of the 'sugar rush': can sugar really put you in a better mood? Using data collected from 31 published studies involving almost 1300 adults, Dr Konstantinos Mantantzis at Humboldt University of Berlin, Dr Sandra Sünram-Lea at Lancaster University, and Dr Friederike Schlaghecken and Professor Elizabeth Maylor in the University of Warwick's Department of Psychology investigated the effect of sugar on various aspects of mood, including anger, alertness, depression, and fatigue. They also considered how factors such as the quantity and type of sugar consumed might affect mood, and whether engaging in demanding mental and physical activities made any difference. 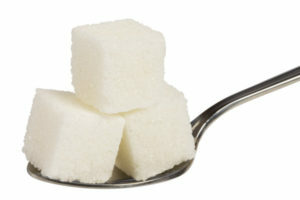 The researchers found that : - sugar consumption has virtually no effect on mood, regardless of how much sugar is consumed or whether people engage in demanding activities after taking it, - people who consumed sugar felt more tired and less alert than those who had not, - the idea of a 'sugar rush' is a myth without any truth behind it. Dr Konstantinos Mantantzis, from Humboldt University of Berlin, who led the study, said: "The idea that sugar can improve mood has been widely influential in popular culture, so much so that people all over the world consume sugary drinks to become more alert or combat fatigue. "Our findings very clearly indicate that such claims are not substantiated -- if anything, sugar will probably make you feel worse."